North Korea, officially the DPRK (Democratic People’s Republic of Korea), has been called the land of whispers for a long time and it’s because people just don’t say things in public. In other words, nobody says anything out in the open. They kind of whisper to each other and then quickly walk away. Not only is it one of the most secretive countries on earth, it’s also one of the most isolated. Visitors are never shown the full story, only blurry shadows that don’t give the whole picture. Maybe there’s some truth and honesty in what a tourist experiences but it’s probably mostly fear and lies. There’s not a lot online about North Korea either. A lot of what has been published seems one-sided and unreal. Every year, the amount of foreigners allowed to visit the DPRK is limited to about 1,000 to 2,000. Most visitors go for the Arirang Games and so they don’t get to experience much more than that. Unfortunately, the only feasible way to enter North Korea is to travel in a group with tour guides. This means that all your time and activities while there are controlled. Walking down the street or exploring alone is prohibited for foreigners. A river separates China from Korea at a place called Dandong. On the Chinese side there are tall buildings, businesses, and advertising. On the Korean side there’s just people wandering along the river and not much else. There are a strict set of rules that visitors must follow once they are in the DPRK. Pictures and videos of the local people are not allowed, for instance. If a newspaper contains a picture of the political leaders, one is not allowed to fold that newspaper in half or crumble it. Another rule is that when photographing monuments and statues, they have to be shot from a lower angle and the entire structure has to be included in the shot. Many things and places have been named after the leaders; not only parks and buildings but also mountains, trees, and flowers. However, visitors are never given or allowed to have the local experience. The mandatory tour guides make sure to only speak what they are allowed to say, which is all propaganda. The ideology of the regime is hard to understand even for the people of North Korea, although none of them would admit that out loud. Watch this fascinating film now. 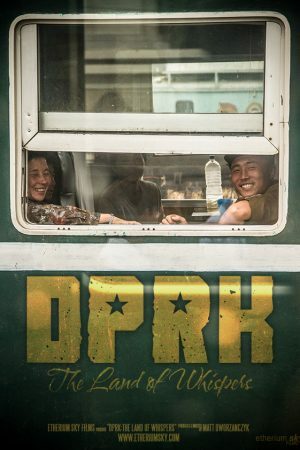 The Founder of VICE travels for 15 hours by train to finally arrive in Siberia and investigate logging camps that are using North Korean slave labor.